Optimum Savings Account, Nedbank has picked innovation as a guiding principle in the provision of its products and services. With a clientele which is diverse in age, race and financial status, this bank has endeavored to cater for them all. 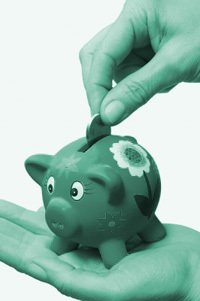 One product offering introduced to cater for a particular group of clients is the optimum savings accounts. This account has been designed for clients who are 55 years and older who have at least R10,000 invested in a Nedbank fixed or notice deposit account. 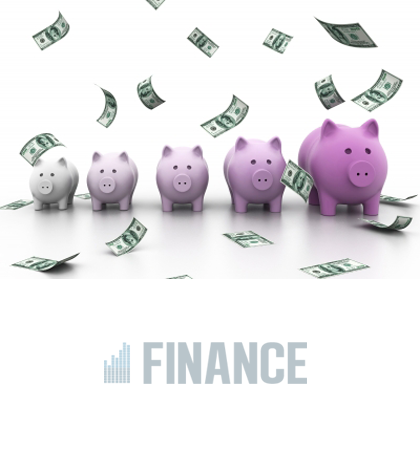 This account offers great features and benefits such as exemption from most transaction and maintenance fees, interest rates are identical to those of an ordinary savings deposit account, interest is earned on all credit balances, it’s an attractive method of saving funds at market related rates, while at the same time allowing for immediate access to funds. You can transact or make enquiries on your account via any ATM or self-service terminal at any Nedbank branch, over the internet or via telephone banking. The qualification requirements for this account include the fact that you must be 55 years old, you need to have at least R10,000 invested in a Nedbank fixed or notice deposit account, R50 opening deposit is required, R30 minimum balance is to be maintained at all times or the accumulated charges, whichever is the greatest. To apply for this account, Nedbank can be contacted on 0860115060. This entry was posted in General, Nedbank on July 29, 2014 by finance. Nedbank is a giant financial institution in South Africa. With million of people using Nedbank, the banks product development and marketing teams have been credited as some of the best in the country. What should however be highlighted from the onset is the fact that this banks development and ability to be always one step ahead of the rest has largely depended on the use of cutting edge technology. The use of technology has enabled the bank to offer what is called self service banking. Nedbanks self service banking bouquet of products and services includes eNote, internet banking, telephone banking, cellphone banking, self service terminals, my financial life, eStatements, my eBills and by extension ATMs. The eNote allows clients to be in control of their finances by sending an SMS notification of any transaction activity on the current or savings account. The internet banking service allows clients to access all accounts instantly, make balance and statement enquiries, do transfers between accounts and make payments to third parties, set up recurring payments and transfers as well as make tax payments to SARS and purchase pre-paid airtime. The telephone banking service allows clients to get foreign exchange rates for major currencies as well as other services like PIN changing, list of accounts or beneficiaries, transfers between linked accounts, payment or payment enquiries and balance enquiries. The cellphone and mobile banking gives clients great benefits like buying airtime without any airtime balance on the phone, clients can also check account balance, the cellphone banking WAP also gives clients rich internet banking experience. Nedbank is also providing self service terminals to clients, these self service terminals are electronic devices that facilitate a wide range of banking transactions but do not accept deposits or dispense cash. My financial life is a tool that allows clients to link accounts from various banks and non-banking financial service providers in a highly secure environment which is enabled through an innovative digital security mechanism called Approve-it. This service caters for the entire households and family members accounts can also be linked onto the same dashboard. The eStatement service allows clients to have their current account statements emailed for free while the eBills is an electronic, paperless bill collections solution that allows organisations to present your bills for you to view and pay at your convenience. The above is a demonstration of how Nedbank is using technology to provide quality products and services. Nedbank can be contacted on 0860555111. This entry was posted in Nedbank on November 27, 2013 by finance. Nedbank is one of South Africa’s biggest financial institutions. In a big and competitive financial industry which stands on a strong foundation of a strong and thriving South African economy. It is for this reason that Nedbank believes innovation and excellent customer service will be the difference and other fierce competitors. Current economic indicators show that the middle banking segment (those who earn between R100 000 and R550 000 per annum) could grow from 4.2m this year to 10.9m by 2020, while the entry-level banking segment could increase from 13.7m to 14.6m customers over the same period. Nedbanks strategy is therefore to unlock the potential of the entry-level and youth (which will be the next middle-income segment) markets through a positive retail banking experience, and attracting more clients either through its wholesale channel or as a result of compelling value propositions. One of those compelling and innovative product propositions is the Nedbank money trader. The Nedbank money trader is an investment account that allows clients to save smartly. 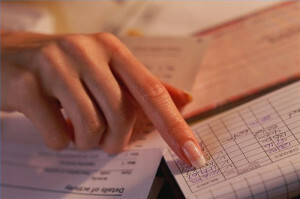 The money trader requires that one must have an initial deposit of R50000 and there is no maximum limit on how much can be kept in the account, additional deposits and withdraws in this account are subject to a minimum amount of R5000, interest rate applies regardless of the balance and interest rates can fluctuate on a daily basis as they are linked to money market conditions. Interest on this account is calculated daily and may be paid out or capitalised monthly as long as the account maintains a minimum balance of R50,000. This account also offers other benefits such as access to funds within 24 hours, capital is fully guaranteed, there are no fees and commissions and this account is available for both individuals and small businesses. To access this fantastic service or product, Nedbank can be contacted on 0860555111. This entry was posted in General, Nedbank and tagged Finance, individual investments, Nedbank, small business investments on November 19, 2013 by finance. Nedbank credit card inventory includes the largest and most convenient varieties of offers. Consumers can apply both online and offline to get them as per their choice and convenience. Every card is unique for its offers and allotted to people with specific income. The bank has ties with Visa, MasterCard, Cirrus and American Express that allow Nedbank credit card to have the widest possible offers and discounts. This entry was posted in Nedbank and tagged nedbank credit cards applications, nedbank credit cards contact details, nedbank credit cards for students, nedbank credit cards south africa on April 3, 2013 by finance. Nedbank driven by the motto “banking for all” has positioned itself as key financial hub for capital, business banking, retail banking, corporate banking and wealth management. Its whole banking, asset management and insurances services are adorned with assured safety and good returns. This entry was posted in Nedbank and tagged Nedbank, Nedbank branch codes, Nedbank contact details on March 27, 2013 by finance.